UPDATE: We have received 74 responses to our survey so far! Let’s get to 100! We would greatly appreciate your feedback about these goals and the action timeline. The survey will take 15-20 minutes of your time. Your feedback is vital to ensure that the school’s activities for the next 10 years are truly the vision of its community. Reading Fun Announcement #1: Early Childhood Book Fair This Week! Lots of wonderful reading announcements this week! The first is the EC Book Fair! The Book Fair is inside Stearns Hall Dec 3-7 (7:30 to 8:30 am and 2:30 to 3:45). There will variety of books in English and Spanish. The school earns 50% of total sales from Scholastic. 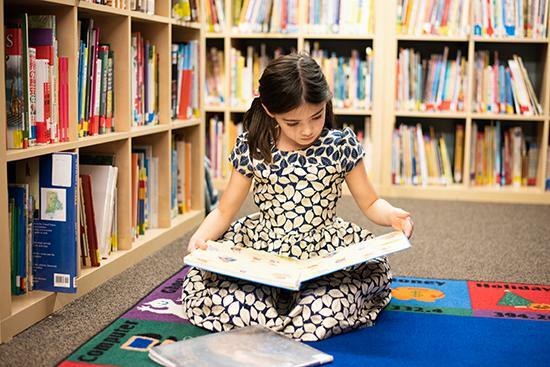 The profits are used to buy books for the library and classroom literature sets. 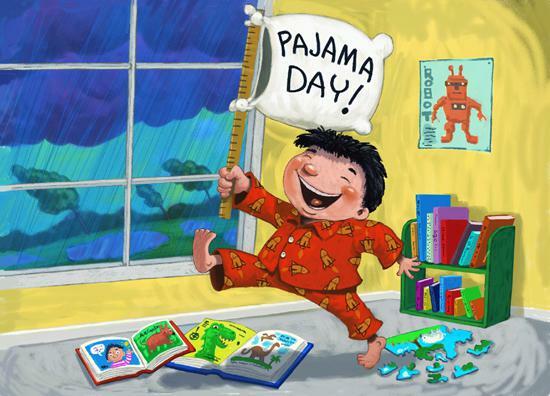 Reading Fun Announcement #2: Read in Your Pajamas Next Week! It’s an English class tradition! 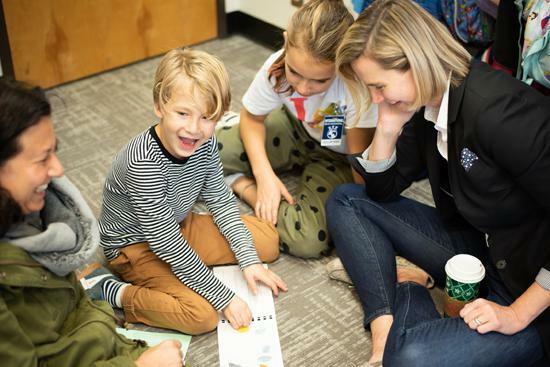 On the last days before Winter Break, students at The International School roll out of bed and straight to their classroom – pajamas and all! 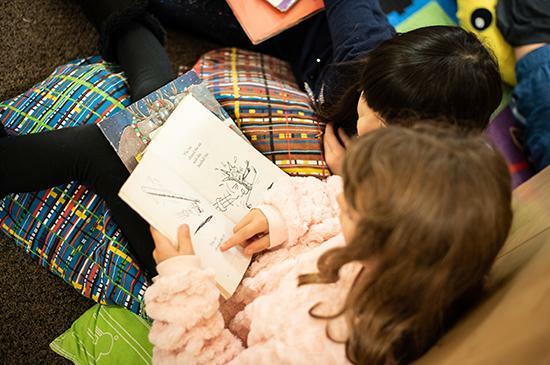 Our Annual Read In Your Pajamas Day is a student favorite. It’s a celebration of reading for the joy of reading. 1st through 5th Grade students can come to school in their pjs to participate. * Packing a set of regular clothes is recommended. *Is your child in PreK-K? Some classes participate in their homerooms; ask your child’s teacher! Reading Fun Announcement #3: Oregon Battle of the Books — TIS to Host Regionals! It’s Not Too Late To Form or Join a Team!! Last but not least, TIS is excited to be participating in the Oregon Battle of the Books (OBOB) again this school year. Battle of the Books is a fun, team-based competition for grades 3-5. We will have our school competition in February, where the school’s winning team will go on to compete at the regionals. We are happy to announce that TIS has been chosen to host the regionals this year! It will be held on Saturday, March 2. This is BEFORE Capstone, so fifth graders should definitely sign up! Teams are made up of four students, with an optional fifth team member who acts as an alternate. Teams commit to collectively reading 16 books selected by the OBOB committee and then compete in answering questions about facts and content from each book. Each team needs a volunteer coach to support the students. See https://www.oregonbattleofthebooks.org/ for lots of information, including this year’s book list. WANT TO FORM A TEAM? NEED A TEAM TO JOIN? 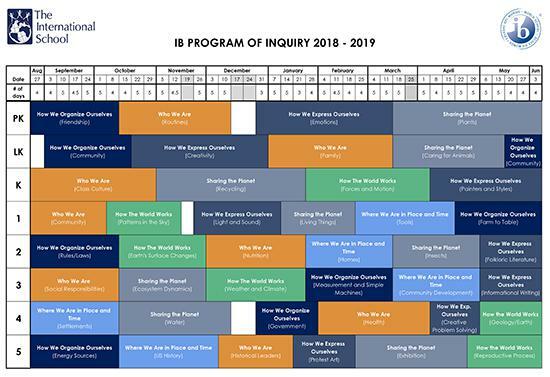 Did you know that the TIS IB Program of Inquiry for the entire school year is available online? It is! 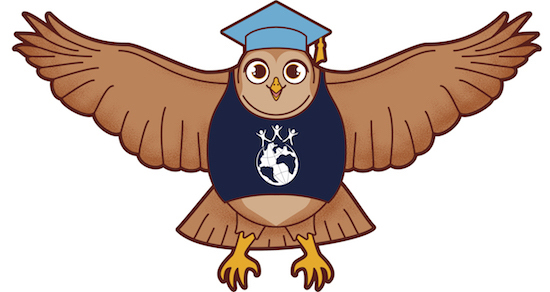 Click below for a general schedule, then scroll down to look at the curriculum for each grade! The TIS Lost and Found collection on the Main Campus has grown once again. We have bins located just outside the Music Room at Hilltop, the front desk at Stearns and just under the stairs at Learner’s Hall. If you know your child has lost an item, please check these locations so the items can go home to their proper owners. If items are labeled with a child’s name they have a much better chance of getting back to their owners. Any remaining items will be donated to charity during Winter Break!! The Parent Network monthly meeting this Thursday, December 6 at 8:30am at the Arthur Administration Building conference room, up the street from the Main Campus. Parent Network meetings are open to all TIS parents. 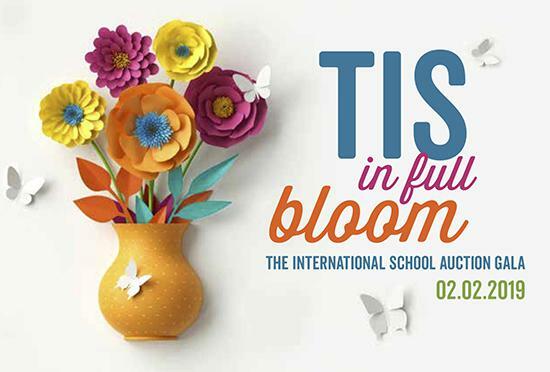 The International School’s Board of Trustees will be meeting on the evening of Dec 6. The agenda will focus one the tax audit. All parents and faculty are welcome to attend. Board meetings are held at Learners’ Hall, and go from 6:00 – 8:00pm. 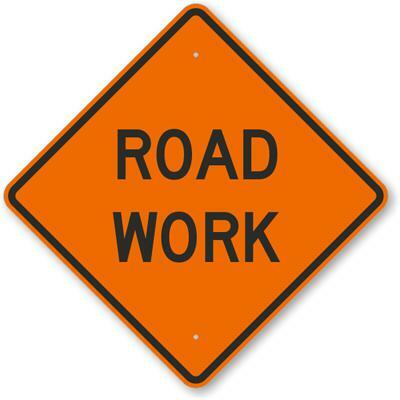 PGE Update – road work this week, then more parking?? PGE will have crews working on Caruthers street this Thursday and Friday (12/6-12/7). They will work around the drop off and pickup times to avoid impact to traffic. The work should be short and relatively quick. Weather permitting, by mid December, they should have Baker St. complete so there will be a continuous path in front of the property. Landscaping behind the fence should also be complete soon so it will be a little more visually friendly. When picking up or sending someone to pick up children from classes, front desks or Global Kids, please have a photo ID ready to confirm identity. Please keep in mind that all of our Staff and Faculty do not know every member of our students’ families. Numbers are not accepted at the desks without ID – these are only used for curbside pick up at the end of the school day. For everyone’s safety, please do not use cell phones while driving. Auction Early Bird Tickets and Sneak Peek! Friday, December 7 is the last day to get your tickets at discounted prices! Prices increase on December 8. Ever picture yourself lounging by the pool of a gorgeous home overlooking the Pacific? Make your daydreams a reality! Attend the auction for the opportunity to bid on a one-week stay at the lovely Casa China Blanca located just 45 minutes outside of Puerto Vallarta, Mexico. 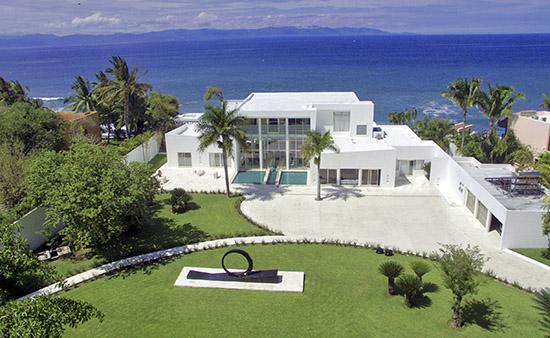 A favorite with Hollywood and fashion photographers alike, this Mexican villa has been featured in the major motion pictures Limitless and Elysium. Lounge in unparalleled luxury with unforgettable ocean views. Amenities include a pristine infinity pool, personal cook, concierge, and maid service. Also included are two 60-minute pool-side massages. This incredible vacation home has five guest suites each with private bath. Available as a 7 day, 6 night getaway. Valid dates are only between May 1 – November 15, 2019. 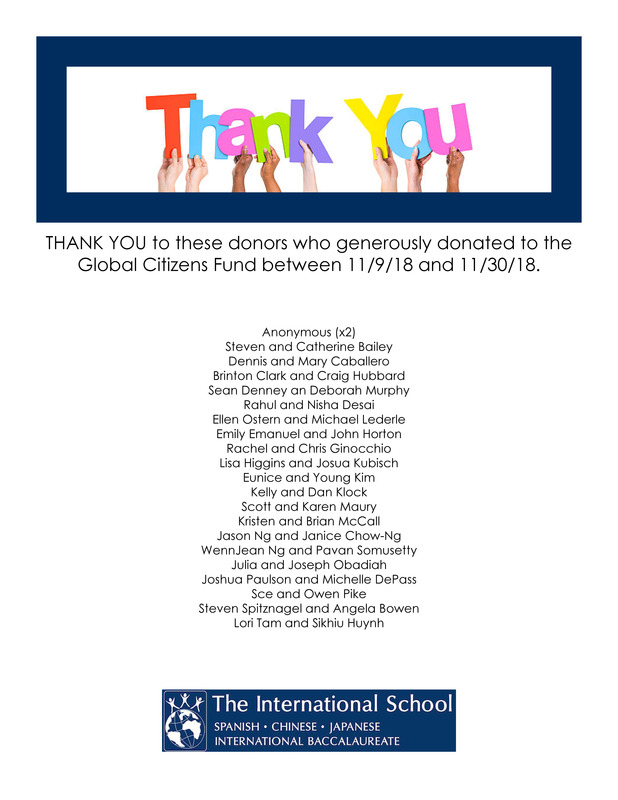 In case you missed it, 3 TIS families – an alumni family, a current parent, and current grandparents – are collectively challenging YOU to donate to the Global Citizens Annual Fund. They will match all year-end donations dollar-for-dollar…UP TO $20,000! 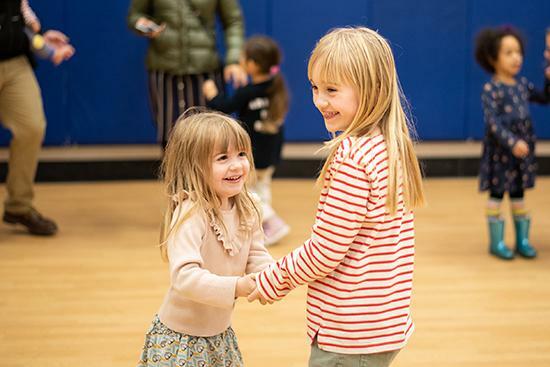 Join these families now and double your dollars with a gift in support of our students and teachers! Donate today at www.intlschool.org/donatenow. 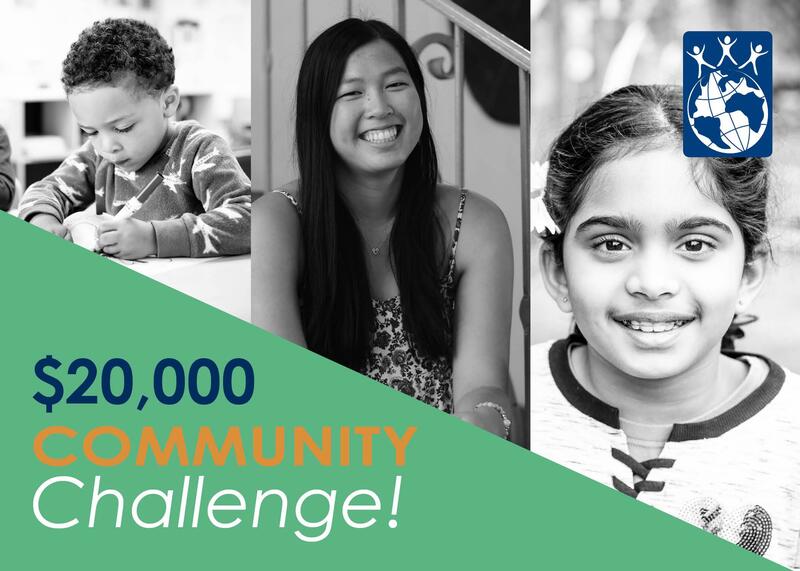 To date, we have raised $8,230 less than one week of the $20,000 year-end challenge (and we are at 35% participation rate)! We sincerely thank all who have supported TIS. 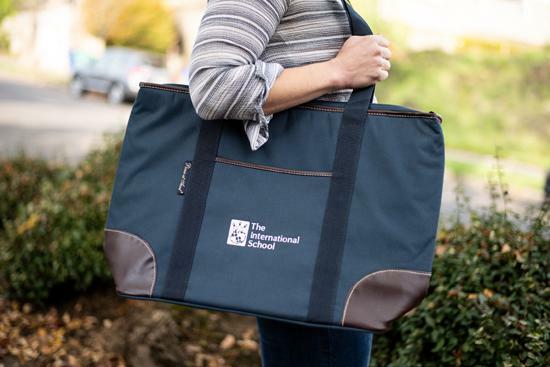 If you have any questions, please contact Lisa Olivares, Alumni and Community Engagement Manager, at 503-226-2496;116 or LisaO@intlschool.org. 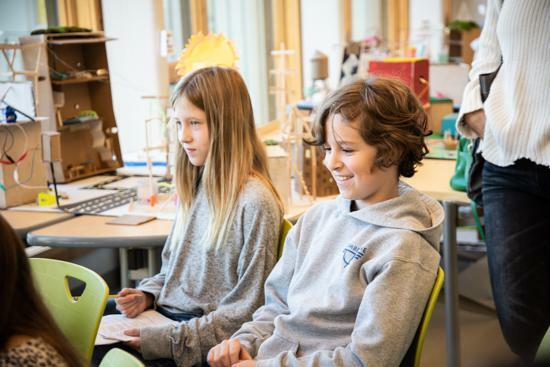 Have a 5th grade student that is applying to middle school? You can turn in your report requests for applications either electronically as a PDF attachment or by hand to Candy T (candyt@intlschool.org), located at the Hilltop front reception. These requests will be processed in the order received and will begin going out to schools after first trimester grade reports are sent home this month. Please be sure that teacher recommendations needing to be mailed include a self addressed stamped envelope for the teacher to return to the school. Keepin’ It Clean Campus Walk – 5th Grade Join fellow 5th Grade parents as we walk the perimeter of the school picking up trash, removing graffiti, cutting back invasive plants. Trash bags, pickers, gloves, graffiti removal supplies provided. Adults only. 8:15 – 9:15am, Hilltop Gate. Winter Break! We hope that you have a wonderful holiday!